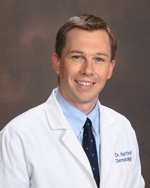 Dr. Hartford is the owner and supervising physician of Penobscot Valley Dermatology. He is a Board Certified Dermatologist. He attended Dartmouth Medical School and completed his dermatology residency at the University of Vermont. Dr. Hartford joined PVD in 2009, and is a native of Calais, Maine. at Crozer-Chester Medical Center outside of Philadelphia. 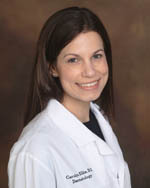 Danville, PA where she served as chief resident followed by a Mohs/Procedural Dermatology fellowship, also at Geisinger. Dr. Whalen is board certified by the American Board of Dermatology and a certified member of the American College of Mohs Surgery. 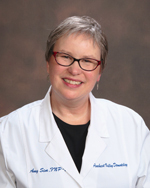 She has several publications in peer-reviewed journals, with a focus on skin cancer research, and has performed over 5,000 Mohs surgical procedures. In her free time, she enjoys spending time with her husband and two sons. Dr. Ellis is a Board Certified Dermatologist and fellow of the American Academy of Dermatology. She earned her BA from Colby College in Waterville and her DO at the University of New England in Biddeford. 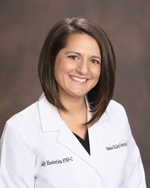 She completed her dermatology residency at Michigan State University - St. Joseph Mercy Hospital in Ann Arbor, where she served as Chief Dermatology Resident. 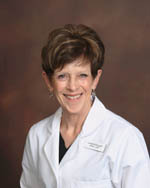 Dr. Ellis is a native of Connecticut, but has many family ties in Midcoast and Central Maine. She and her husband are happy to be back in Maine with their daughter and golden retriever. Amy Sim received her Bachelor’s of Science Degree in Nursing from Boston University in 1982. She began her varied career in bedside nursing and transitioned to a number of clinical settings including surgical, neurology and cardiology. She relocated with her family to Maine in 1999 and fulfilled a desire for advanced practice education by enrolling at the University of Maine where she received her Master’s degree in Nursing in 2007. Thereafter, she was engaged in clinical research projects for a specialty practice. She sought an opportunity for increased hands-on patient care and joined Penobscot Valley Dermatology in 2011. In 2015, Amy received her certification as a Dermatology Certified Nurse Practitioner. Samantha Mitchell is a native of Sherman Mills, Maine. She received her Bachelor's of Science in Nursing from Husson College in 2006 and began her career at Eastern Maine Medical Center. In May of 2012, Samantha completed her Master's degree in Nursing from the Family Nurse Practitioner program at Husson University. Samantha received her certification through the American Academy of Nurse Practitioners and joined Penobscot Valley Dermatology in June 2012. 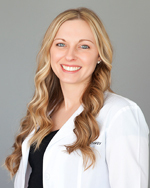 In 2015, Samantha received her certification as a Dermatology Certified Nurse Practitioner. She currently resides in central Maine with her husband and four children. Holly Haeberlein is a native of Maine and grew up in Bangor. She received her Bachelor’s degree in Biology from the College of Charleston in South Carolina and engaged in several challenging research projects. She is currently fulfilling her service requirement to become certified in dermatology. Dermatology in October of 2013. 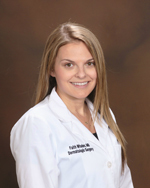 With a strong background in dermatology both as a patient and a clinician, Holly looks forward to establishing her practice as a member of the PVD team. medical-surgical, intensive care, and acute/trauma care with Lifeflight of Maine. In 2018, Linda received her certification as a Dermatology Certified Nurse Practitioner. A life-long resident of Maine, Linda joined PVD in October 2015. All PVDs NPs are either Dermatology Certified Nurse Practitioners (DCNP) or working towards advanced certification in dermatology. Becoming a Dermatology Certified Nurse Practitioner (DCNP) requires a Masters degree in nursing, a current NP licensure, a national certification as a NP, a Minimum 3,000 hours of dermatology practice, and passing the dermatology nurse practitioner certification exam. Working towards and obtaining this special dermatology certification demonstrates a commitment to ongoing learning to help provide the best care possible to our patients. In addition to this certification all providers at PVD regularly attend educational conferences to remain up to date with the latest advances in the diagnosis and treatment of dermatologic conditions. Dr. Jeffrey Pittis, MD, the founding physician of Penobscot Valley Dermatology retired in November 2012. His wife Mrs. Deborah Pittis, NP retired from the practice in the spring of 2012. We thank them for their many years of service and caring for patients and staff.